Arctic Monkeys in Montreal or Quebec City? 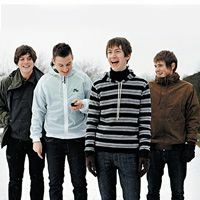 Inform me about the next events for Arctic Monkeys. Enroll yourself to our priority waiting list for Arctic Monkeys to be alerted when new tickets are available. Filling this form doesn't engage you to any purchase. Arctic Monkeys will be back in Montreal on August 4rd, 2018, as part of the Osheaga Music Festival, 4 years after their last presence at that same festival ! On that day, festival-goers will not only get to see Arctic Monkeys live, but also Khalid, Anderson .Paak, Tyler The Creator, Blondie, Future Islands and many more ! Don't miss Arctic Monkeys, headlining for the second time at Osheaga this summer !